The majority of renters consult consumer reviews during their apartment search to help make informed decisions before committing to a lease, according to a survey commissioned by Apartments.com. In fact, 80 percent of renters said they use reviews during their apartment search process, and more than three quarters described reviews and recommendations as extremely or very helpful when finding a new place to live. In response to this need, Apartments.com, the number one ranked rental listing service, has become the first major apartment listing service to launch reviews on its website. Whereas renters typically had to leave rental websites to find relevant apartment community reviews in the past, now they can search from one central location. 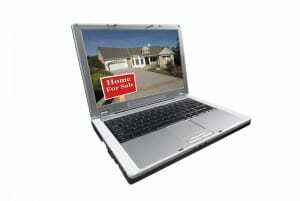 Both apartment hunters and dwellers can easily read and write reviews. Apartments.com visitors are able to review a wide variety of aspects of individual apartments and communities that choose to offer reviews. In addition to giving an overall rating on the apartment, Apartments.com visitors can drill down into more detail by reviewing apartment location/neighborhood, quality of amenities, noise level, overall value and the leasing office and maintenance staff. Unlike other websites with apartment community reviews, property managers, owners and leasing staff are not required to pay to respond. As a result, apartment hunters have a more authentic view of the relationship between the property and interested renters and current residents. About Apartments.com Apartments.com (http://www.apartments.com) is a leading national apartment Internet listing subscription service with more than 50,000 unique addresses representing millions of rental units from managed properties, newspaper classifieds and for-rent-by-owner properties.